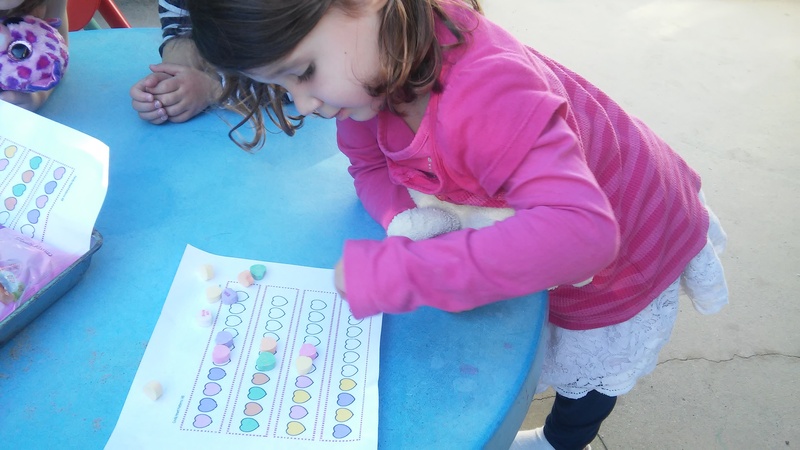 Using candy hearts, colored sequencing worksheets, and our minds, we learned about what a sequence is! We used colored hearts to demonstrate this. Your little one would name the order of colors, and then complete the sequence on their own! 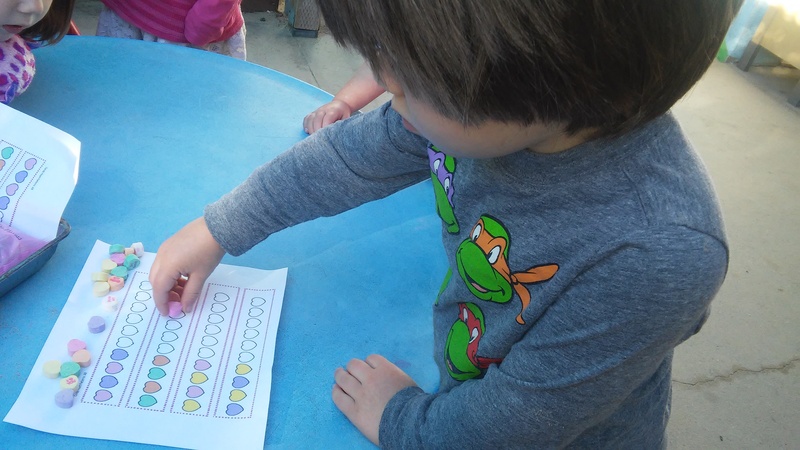 Young children can learn about sequencing by putting familiar events, ideas, and objects into their logical order. Key vocabulary words for sequential order are “first”, “second”, “next”, “then”, and “finally”. Ordinal numbers are also important vocabulary words for sequential order. Helping children understand the concept of sequence develops math skills, literacy, and scientific inquiry skills.